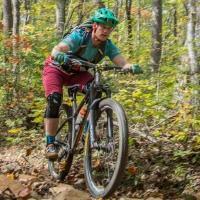 I had an amazing time at the Trans-Sylvania Epic last year. The trails of Central Pennsylvania are just the kind of tough, technical riding I particularly enjoy. My performance was somewhat mixed though, as I had stomach issues on the second stage, and mechanical problems on the penultimate day. 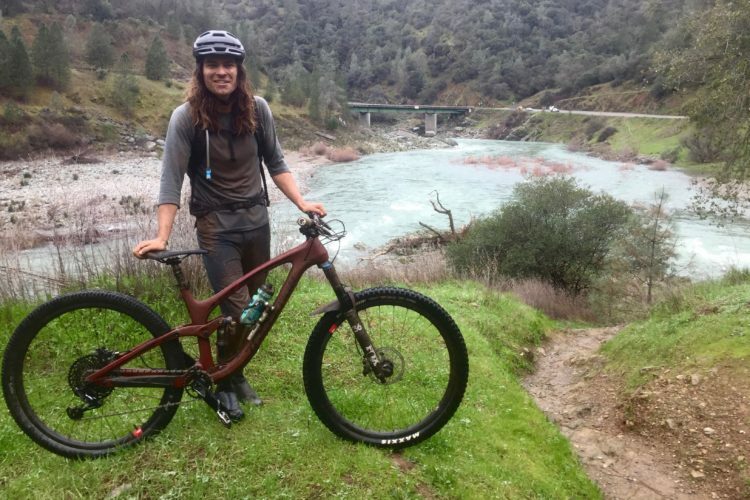 Those struggles taught me valuable lessons about nutrition as well as bike setup–lessons I’m applying to this year’s edition (May 29-June 3). The first thing to go was the stock Schwalbe Racing Ralph tires. While they are incredibly light, they also proved to be incredibly fragile. If there’s one place you don’t want to skimp for TSE, it’s tires. I also decided to run a personal wheelset in place of the DT Swiss X 1700 Spline Two wheels. The DTs have excellent hubs, but at just 20mm wide internally, the rims are too narrow to provide support for tires in the 2.25-2.35″ range. In place of the DT Swiss wheels I’ll be running a personal set built for me by Loose Nuts Cycles here in Atlanta. 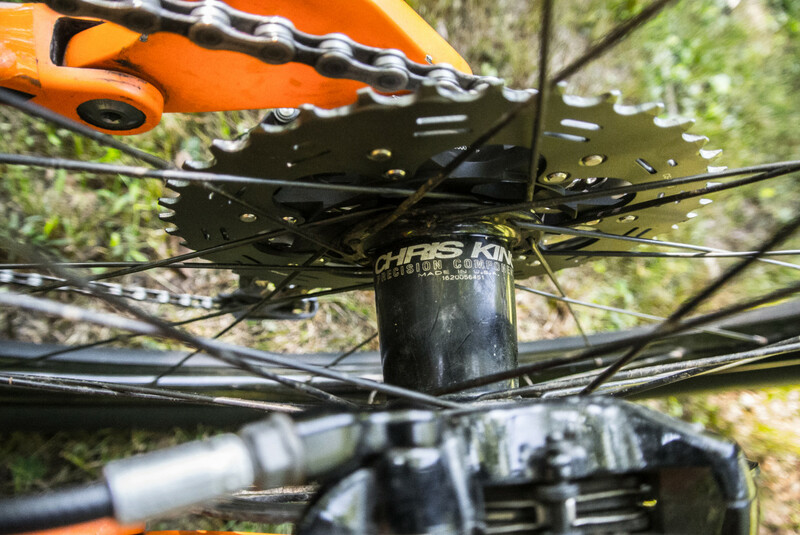 With 32 hole Chris King hubs, WTB Frequency i25 rims, laced three-cross, I know they can handle abuse. 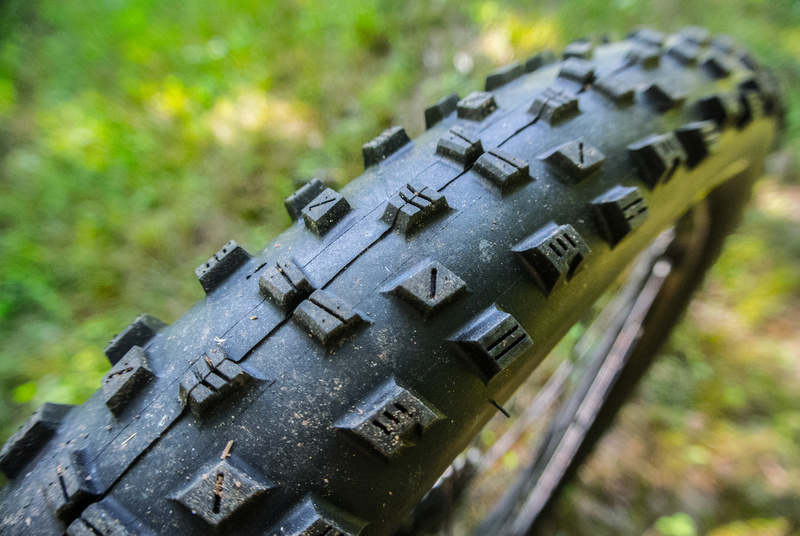 For tires, I’m going with a new Maxxis tread pattern called the Forekaster. Maxxis says it’s intended for “aggressive XC,” which sums up PA well. At 680g/tire for the 2.25″ width, they strike a solid balance between weight and durability. Going with the wider rims allowed me to drop my tire pressures between 6-8 PSI lower, which improves traction and comfort. Swapping the wheels also meant swapping the cassette. My King hubs have a Shimano driver and the stock cassette is an 11-speed SRAM unit, meaning I would need to purchase an XD driver. At well over $200, those things aren’t cheap. To save some money, I instead purchased a new Shimano XT 11-speed cassette. The XT cassette is quite a bit heavier than the SRAM, but at least that weight is centralized. The other swapping I did took place in the cockpit. 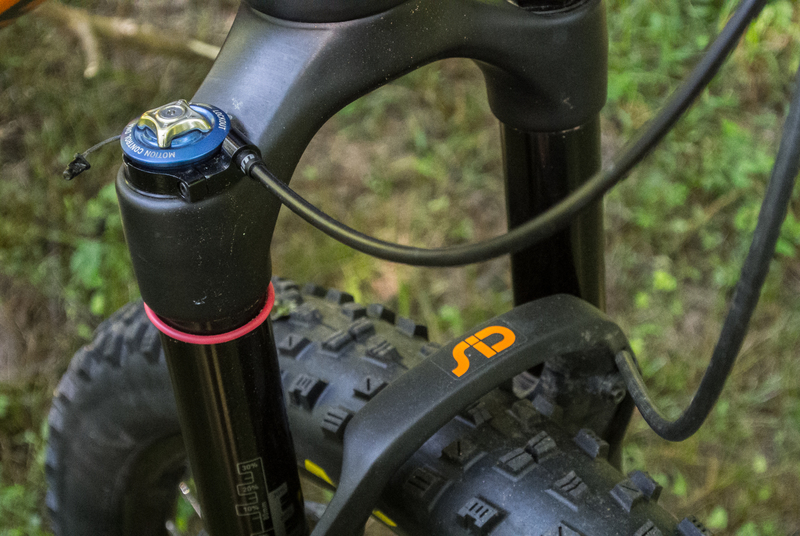 Norco specced a nice wide bar, silicone grips, and an 80mm stem–all Norco branded. Even with my long arms, I felt too stretched out, which lead to lower back pain on long rides. To combat this, I bolted up a 70mm Thomson stem. 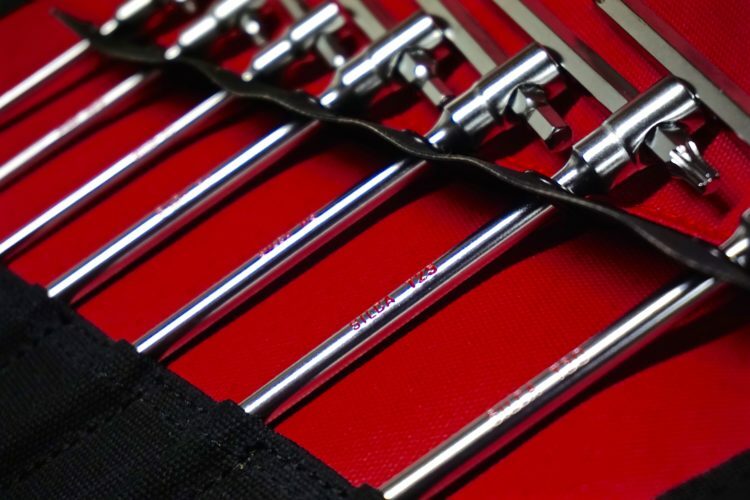 While I was happy with the width and shape of the stock bars, the silicone grips were overly firm, which caused hand fatigue. 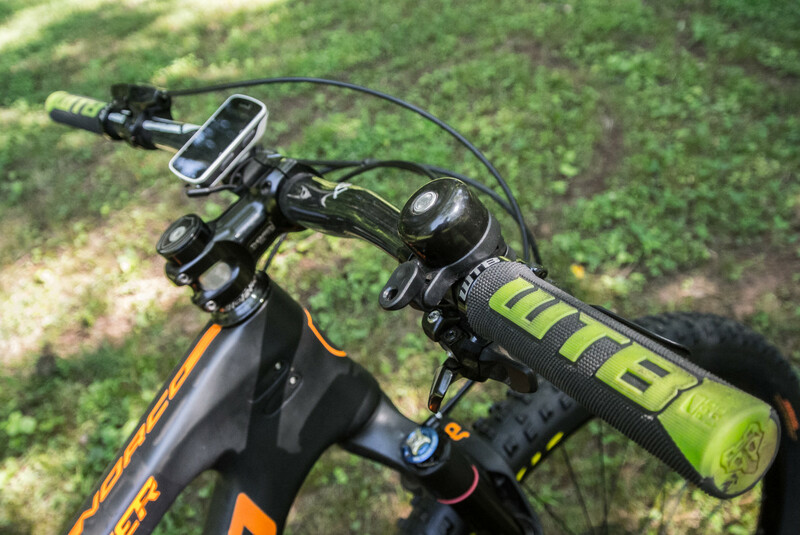 I have been using a carbon Truvativ bar which was designed to be used with WTB’s new Commander Padloc grips. That combo has done well for me, so I put it on my race bike. 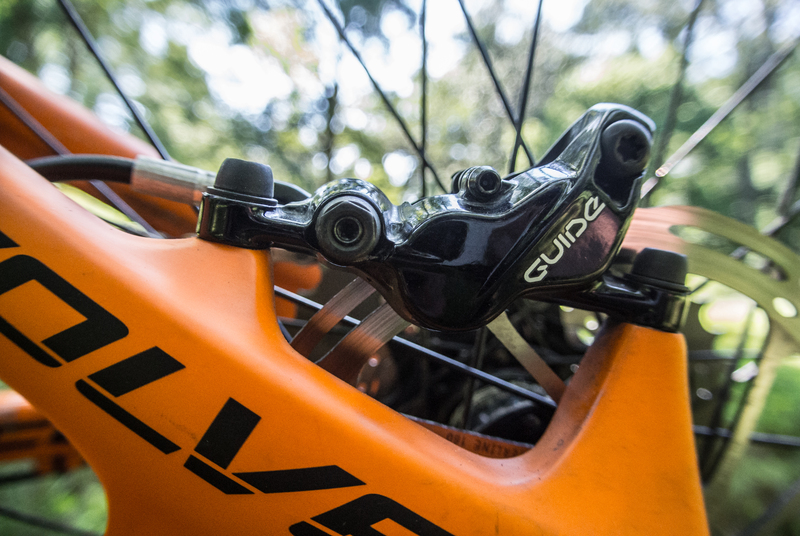 Interestingly, the bar width and geo is almost identical to stock. Everything else is stock, but I have added some additional items to make it race ready. I won’t be carrying a pack during the race and I also want to keep my jersey pockets full of food only. 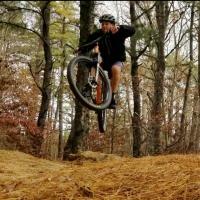 To do this, I’m using a Backcountry Research Race Strap to hold a spare tube and two large CO2 cartridges to the frame. 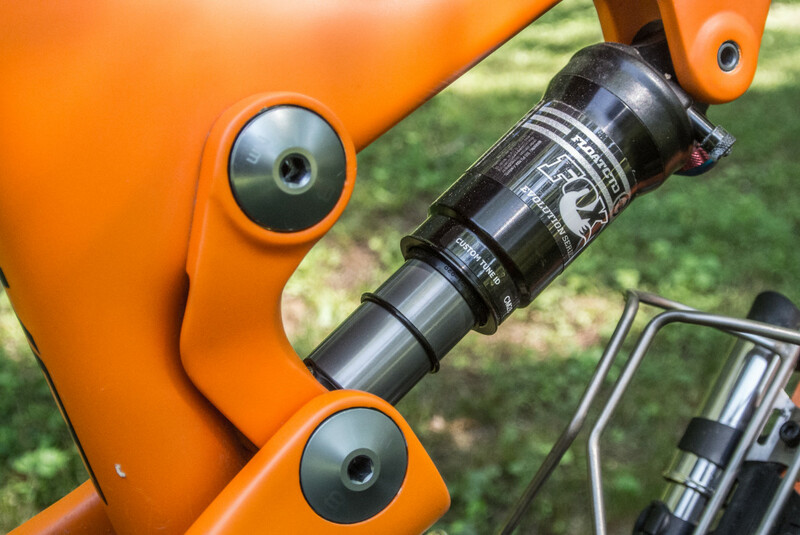 I opted to mount it down by the bottom bracket to keep the weight low. 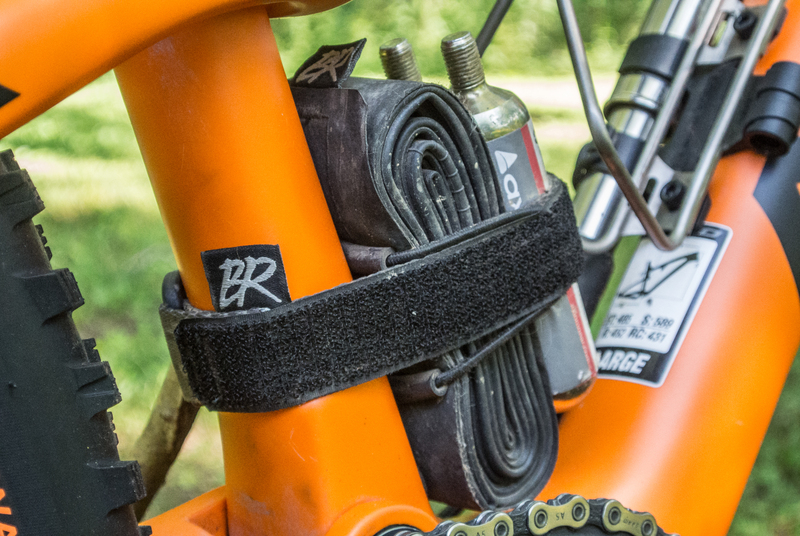 I got this Backcountry Research Race Strap at the Trans-Sylvania Epic last year, and it has served me well. Should I need even more inflation, I have a Birzman Apogee pump for emergencies. The extra cool thing about this pump is the head doubles as a CO2 cracker, so no need to carry one of those separately. And, it mounts nicely underneath my Salsa Nickless stainless steel water bottle cage. Hopefully I won’t need this Birzman Apogee pump, but it’s nice to know it’s there just in case. 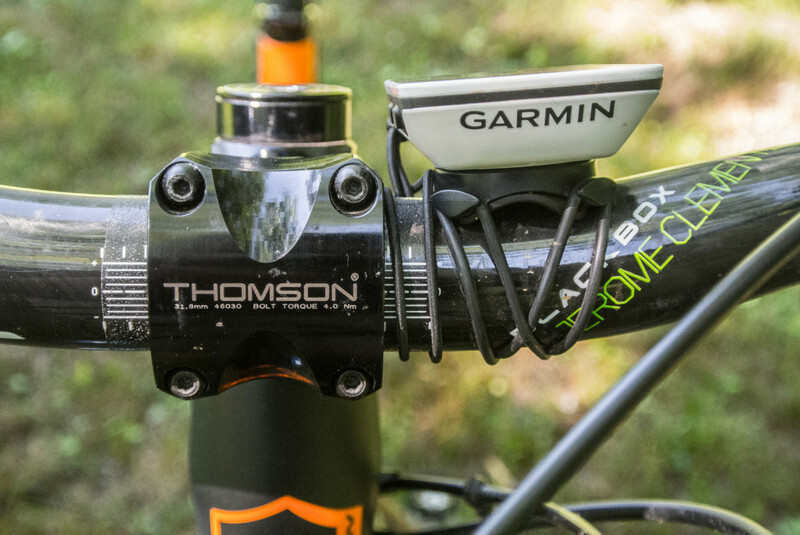 Other small details include a bell for passing, a Garmin Edge 520 to collect all my data and monitor my heart rate, and Ritchey’s new WCS Trail pedals–which weigh less than the equivalent Shimano XTR pedals. 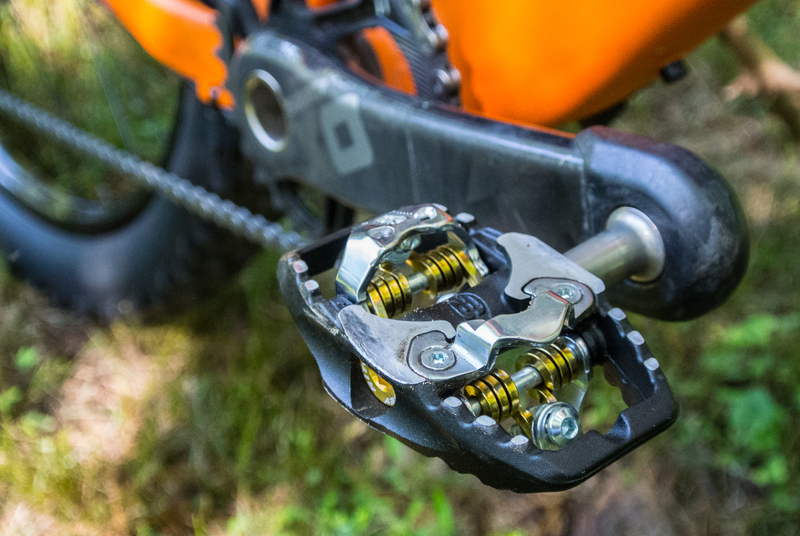 Ritchey’s new WCS Trail pedals weighed in at 345g for the pair. 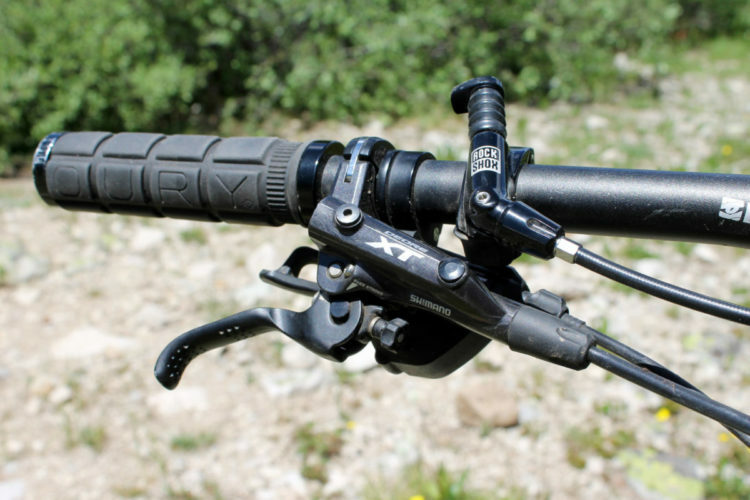 The stock RockShox SiD came with a remote lockout, which has come in handy for racing. 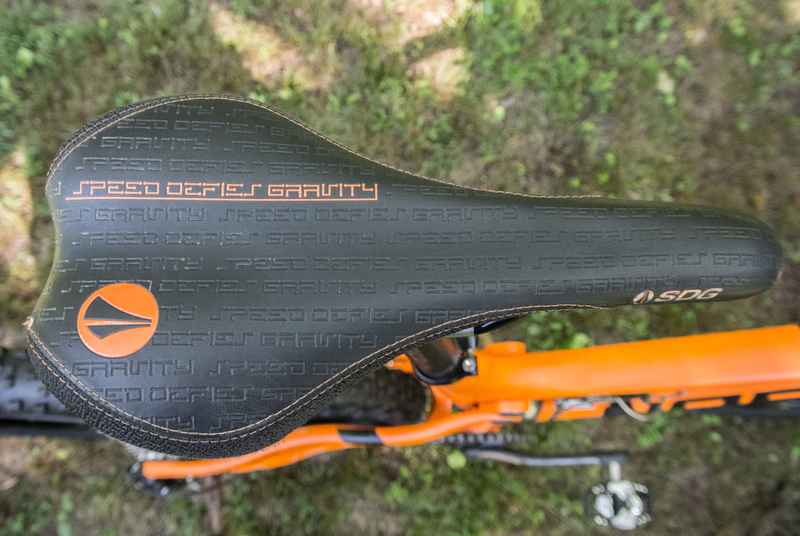 While I like the shape of the stock SDG saddle, it’s a little thin on padding; it may get changed out once in PA. 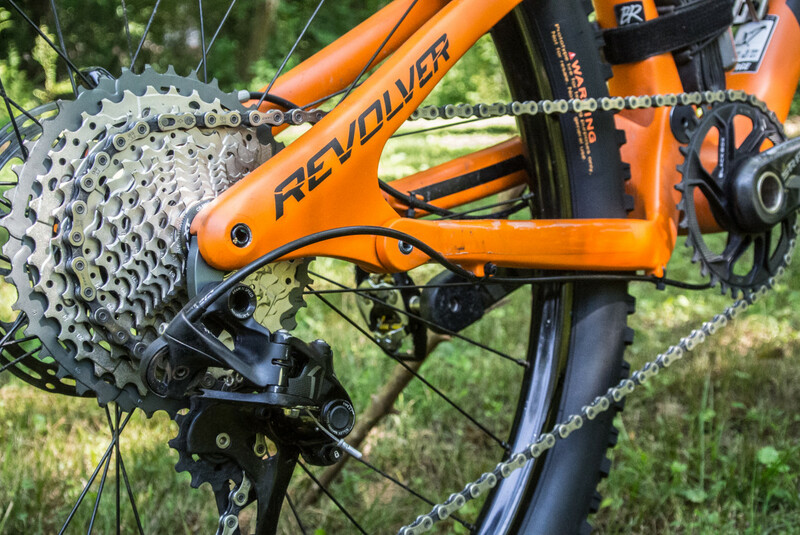 The Revolver frame is a stunner; the Fox shock isn’t fancy, but it does its job without complaint. 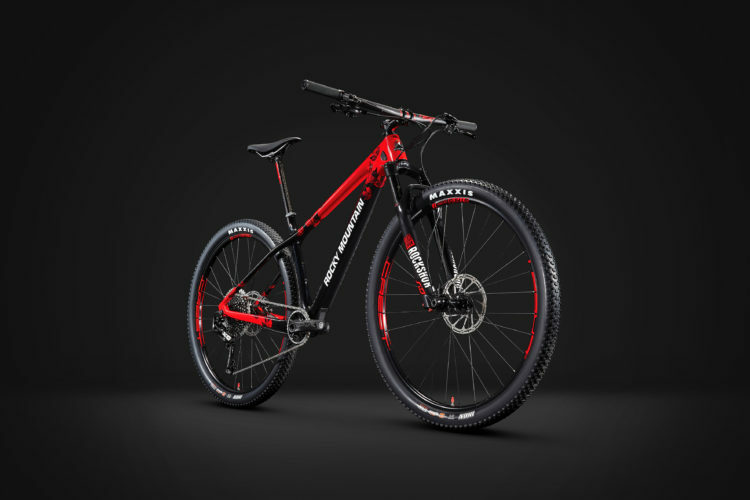 As it is pictured–ready to race–the bike comes in at just over 26lbs. Obviously, taking the tube, CO2 cartridges, and pump off would save weight, but I have to carry it one way or another and I prefer to keep it on the bike. 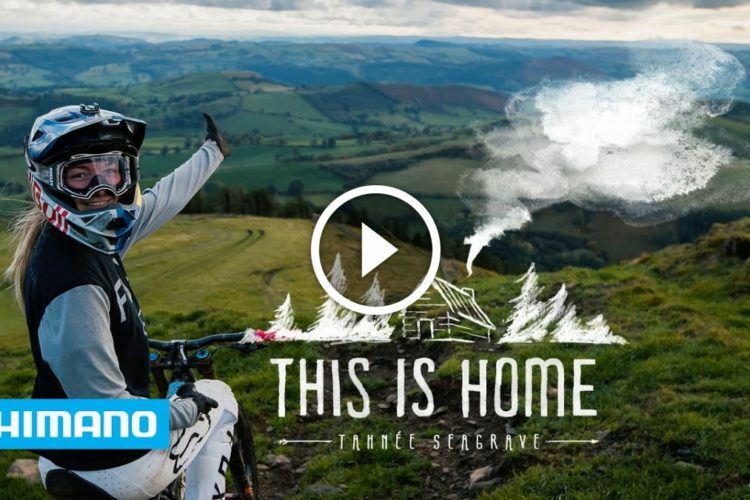 For a bike I’m confident can tackle the TSE, that weight is more than respectable. This Revolver is locked and loaded! Be sure to follow the Singletracks Instagram account for updates during the race next week! Your Turn: Let me know if you have any questions about my setup, or share your own race bike in the comments below. 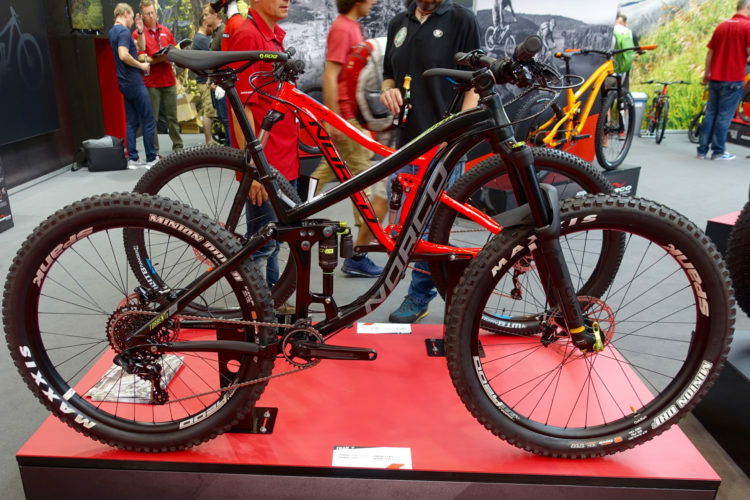 How do you like the 27.5 for XC? I personally love it, but most XC/marathon racers are sticking with 29. 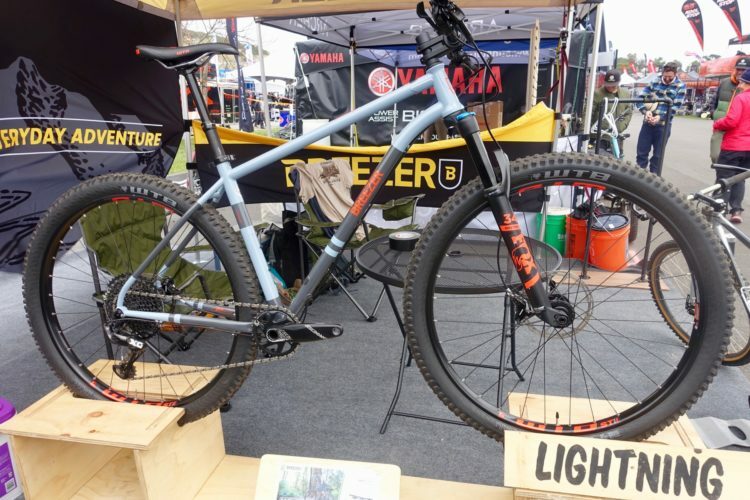 First off, I’m a big fan of 29ers for all types of riding, but especially XC/marathon. 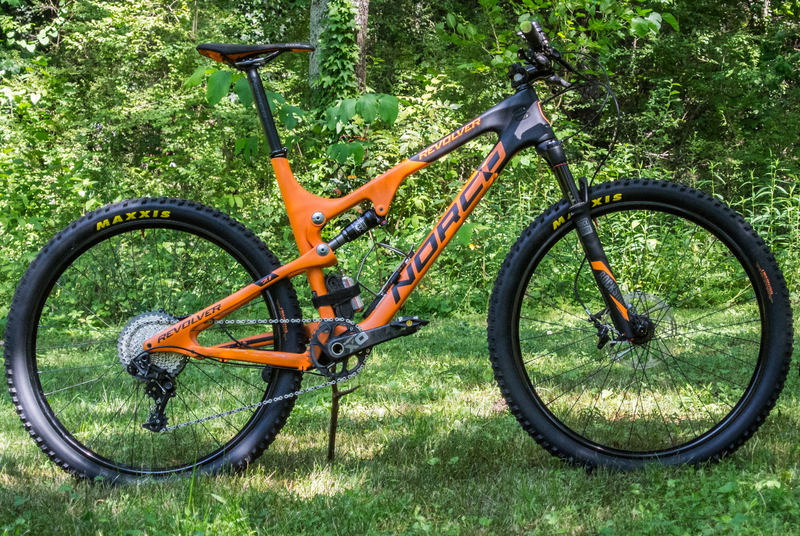 Part of the reason I got the Norco was to see what I thought of 27.5 for racing. Short answer? It’s great. 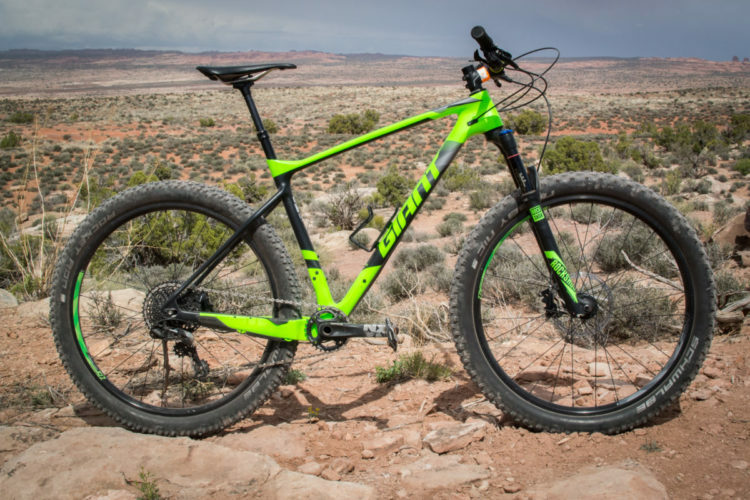 There is a trade-off in momentum vs. the 29er, but it’s also snappier coming out of turns and the wheels get up to speed faster. 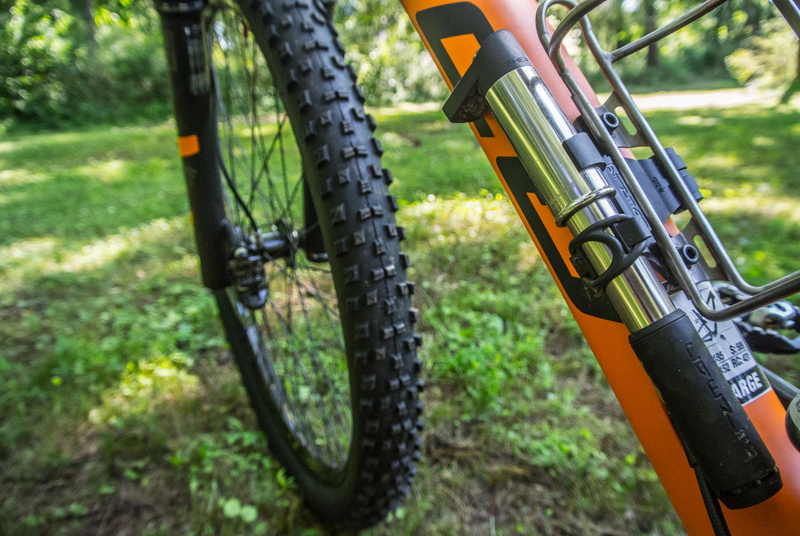 The tighter the trails, the better it does. 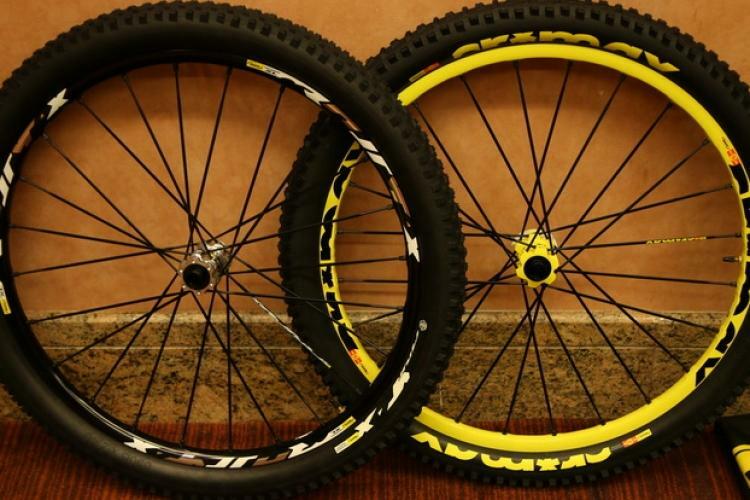 Both wheel sizes have the merits even on XC race courses. Hmmm … I feel like 27.5 best suited for maybe a less rocky / rooty course?? 29 carries well over that stuff. But heck Nino rode 27.5 for quite some time. You might be pleasantly surprised. Interesting experiment. I saw the date. What were the final thoughts?